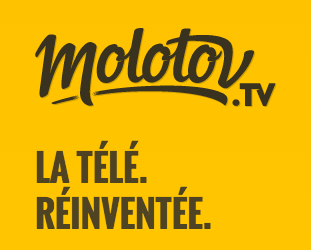 French linear OTT TV service Molotov has ended talks about a possible sale to Orange and has opened negotiations with public broadcaster France Télévisions, which could look to use the OTT provider’s platform to accelerate its digital transformation, according to a report by news magazine L’Express. According to L’Express, citing an unnamed source, France Télévisions could use Molotov’s platform to develop its own OTT video-on-demand offering, and may take a stake in the operation. Talks between Molotov and Orange, which reportedly was seeking to acquire a 50% stake in the company, foundered on different perceptions of value, according to L’Express. The OTT TV player has been under pressure, with free-to-air broadcasters such as M6 demanding retransmission fees, leading Molotov to resort to the law with an assertion that this constitutes an attempt to restrict competition. TF1 and M6 are partners with France Télévisions in the Salto project, which envisages the creation of a joint OTT platform for French content to combat the impact of US players such as Netflix. Vodafone was created two years ago by AlloCiné co-founder Jean-David Blanc and former Canal+ chief Pierre Lescure. Reports emerged earlier this year that the company was looking for a buyer, with Orange named as a likely candidate. Newspaper Libération also reported in June that France Télévisions, TF1 and M6 had looked into buying Molotov as a quick fix to enable them to launch Salto.